Welcome to the Mercure Nantes Centre Grand Hotel, located in the heart of the city of the Ducs de Bretagne. Take advantage of our privileged location to stroll through the pedestrianized streets and discover the main attractions of the city. 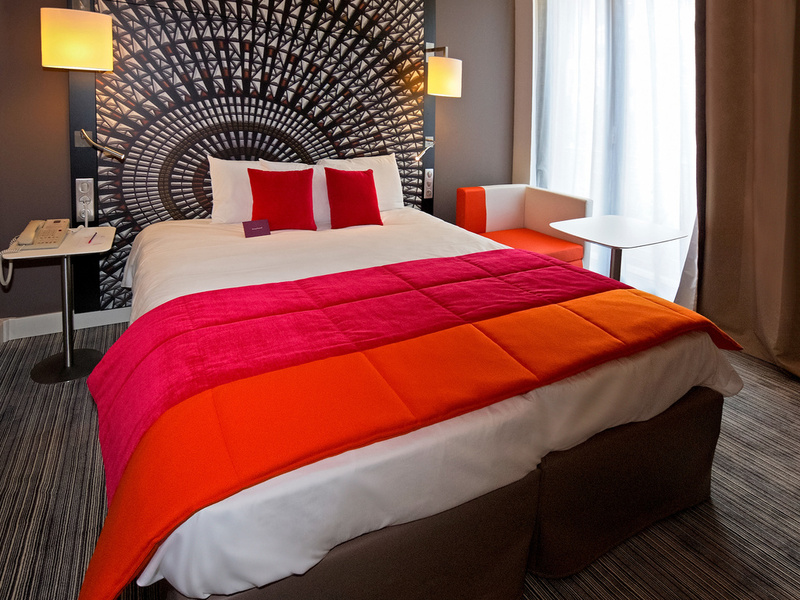 The Mercure Nantes Centre Grand Hôtel welcomes you to the heart of Nantes. This central downtown location is perfect for both business travelers and tourists and provides quick and easy access to La Cité events center and Nante's main cultural attractions. Everything has been designed with your comfort in mind: modern and cozy rooms, lounge bar, fitness center and meeting rooms, not to mention the new Easywork concept exclusive to Mercure. Take a trip to the fully renovated Chateau de la Duchesse Anne or, if your tastes are more modern, try the Machines de l'Ile artistic and cultural project! Hotel staff will be pleased to recommend places for you to visit. The hotel offers three levels of comfort, all of which are modern, functional and inviting: well-equipped Suites with a generous amount of space, Privilege Rooms with a range of additional amenities, and Standard Rooms. Our Apartment Suite has a private lounge, or maybe you'd prefer the generous proportions of the Prestige Suite. Dine in an intimate and cozy setting offering market dishes. Take advantage of our offer of the day and enjoy a starter and main course from EUR 14. Or if you're in a hurry, try our selection of snacks or fall in love with our traditional Club Sandwich. Cozy, warm, intimate and comfortable, 4.44 is pure bliss. Curl up together in front of the impressive fireplace or take a table and enjoy snacks, cocktails or gourmet wines while listening to great music. 시내 중심에 있어서 관광지 상가 식당 모두 걸어서 갈수 있는 위치라 편리함. 침실은 청결하고 편안하나 크기가 다소 작음.